After releases on Futureboogie's Summer Riot V, and Chris Massey's Sprechen label that evoked the core spirit of warehouse raves with acid drenched beats, Field Theory has put the jack in the box for his debut on eclectics. 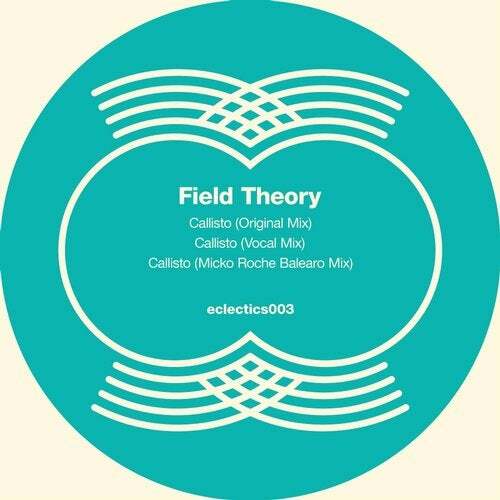 With Callisto, Field Theory presents us with something altogether more mellow, yet no less affecting. The pace is still there, though dialled down, the rolling rhythms urging us to move rather than issuing orders. Top notes fizz over warm synth washes, which arrive like the first rays of light creeping through blackout blinds at 5am. It's music to see out the night and welcome in the new dawn, rapturous and celebratory. The vocal mix adds a new dimension, one which takes us out of the club and leads us outdoors. Things are softer, everything given the Ready Brek glow, while we're guided by the distant, echoed voice, circling high among the strings, taking us to a happy place and at a slower pace. Ireland's Micko Roche provides the final act with a mix that takes us down a gear further, adding deftly plucked guitar and extra layers to the strings to draw us to a gently soporific and very welcome and Balearic conclusion.